The group of authors led by prof. Jorge Rueda from ICRANet has just published a new paper "Neutrino Oscillations within the Induced Gravitational Collapse Paradigm of Long Gamma-Ray Bursts" in the prestigious Astrophysical Journal with Impact Factor 5.533. Fig. 1. Electron neutrino and antineutrino flavor evolution for inverted hierarchy and dM/dt = 10-6 solar masses. The survival probability is shown as a function of distance from the NS surface. The induced gravitational collapse paradigm of long gamma-ray bursts associated with supernovae (SNe) predicts a copious neutrino–antineutrino emission owing to the hypercritical accretion process of SN ejecta onto a neutron star (NS) binary companion. The neutrino emission can reach luminosities of up to 1057 MeV s‑1, mean neutrino energies of 20 MeV, and neutrino densities of 1031 cm‑3. Along their path from the vicinity of the NS surface outward, such neutrinos experience flavor transformations dictated by the neutrino-to-electron-density ratio, see Fig. 1. The evolution of neutrino and electron on the accretion zone are determined and used to compute the neutrino flavor evolution. For normal and inverted neutrino mass hierarchies and within the two-flavor formalism νeνx), the final electronic and nonelectronic neutrino content after two oscillation processes is estimated: (1) neutrino collective effects due to neutrino self-interactions where the neutrino density dominates, and (2) the Mikheyev–Smirnov–Wolfenstein effect, where the electron density dominates. The final neutrino content is composed by ∼55% (∼62%) of electronic neutrinos, for the normal (inverted) neutrino mass hierarchy. The results of this work are the first step toward the characterization of a novel source of astrophysical MeV neutrinos in addition to core-collapse SNe and, as such, deserve further attention. The 2017 ICRANet Scientific Report was presented to the Scientific Committee by Professor Remo Ruffini, Director of ICRANet. The aim of this 2017 report, organized as every year in 3 volumes, is to review the traditional fields of research and present the most recent scientific results obtained in the ICRANet Centers in Italy, Armenia, Brazil, France as well as report on the status of international collaboration coordinated by ICRANet. 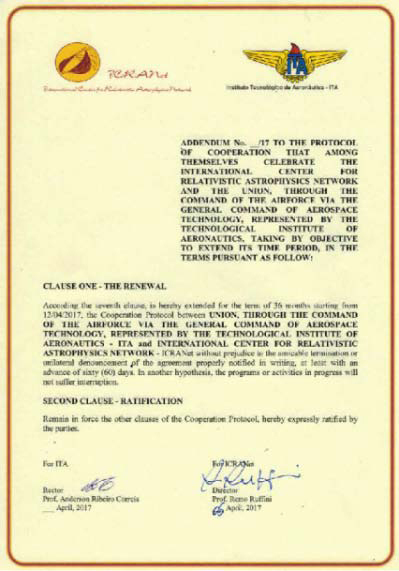 These 3 volumes also present all ICRANet scientific activities including the international meetings organized by ICRANet, all the scientific agreements confirmed and/or extended with Universities and research centres within the year, and indicate the composition of the Faculty, of the Administrative Staff, of the Lecturers, of the Students. The Curricula of the ICRANet Staff are given in the Accompanying Document "The ICRANet Staff, Visiting Scientists and Graduate Students at the Pescara Center". Fig. 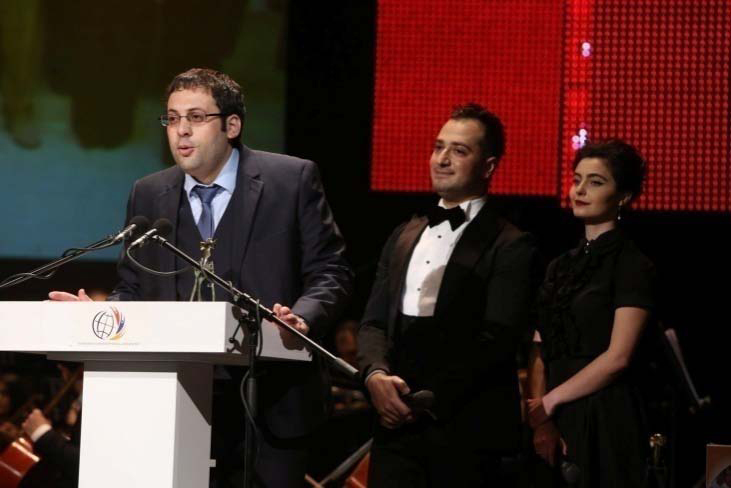 2: Professor Narek Sahakyan, Director of ICRANet-Yerevan, receiving the prize. It is a pleasure to announce that Professor Narek Sahakyan, Director of ICRANet-Yerevan, has received the prize for the "Best Youth Scientific Achievement" on the 28 February 2018 in the occasion of the Haykyan-2017 awards ceremony. The event took place at the National Academic Opera and Ballet Theater in Armenia, at the presence of the Armenian President Serzh Sargsyan and of several representatives from Armenian government. Successful young people, youth groups and organizations that had excelled and come up with innovative undertakings in 2017 were awarded in different nominations. On the 2nd of February 2018, ICRANet signed a cooperation agreement with the University of Ljubljana – Slovenia. The document was signed by Prof. Igor Papic, Rector of the University, and Prof. Ruffini, Director of ICRANet and will be valid for 5 years. 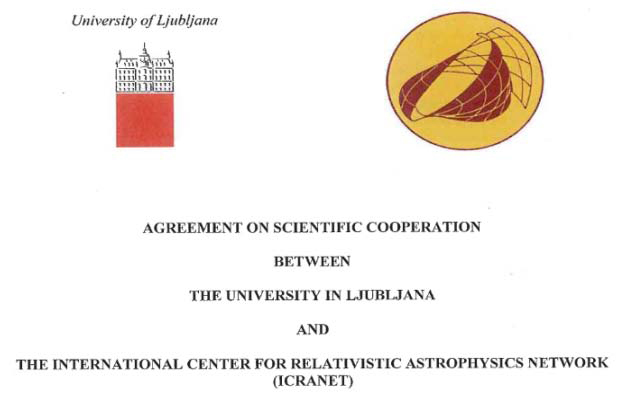 The main joint activities to be developed under the framework of this agreement include: the promotion of theoretical and observational activities within the fiel of Relativistic Astrophysics; the institutional exchange of faculty members, researchers, post-doctorat fellows and students; the promotion of technological developments; the development of Data Centersfor Astrophysical data in all wavebands; the organisation of seminars, conferences, workshops, training and research courses, and the development of inter-institutional research areas associated to local graduate programs; and joint publications. From 12 December 2017 to 12 January 2018, ICRANet, in collaboration with the Besso Foundation, organized two exhibitions in the heart of Rome. In the framework of the project supported by the Italian Ministry of Education, University and Research (MIUR) "Del Talento e della curiosità. Quando l'aquila e il passero volano insieme" ("Of Talent and Curiosity. When the eagle and the sparrow fly together"), the two organizations together with ICRA and ECIPA, arranged the exhibitions on "Einstein, Fermi and Heisenberg and the birth of Relativistic Astrophysics" and on "ICRANet and China", that were contemporary opened to the public in the opening hours of the Besso Foundation (see: here). Fig. 3. 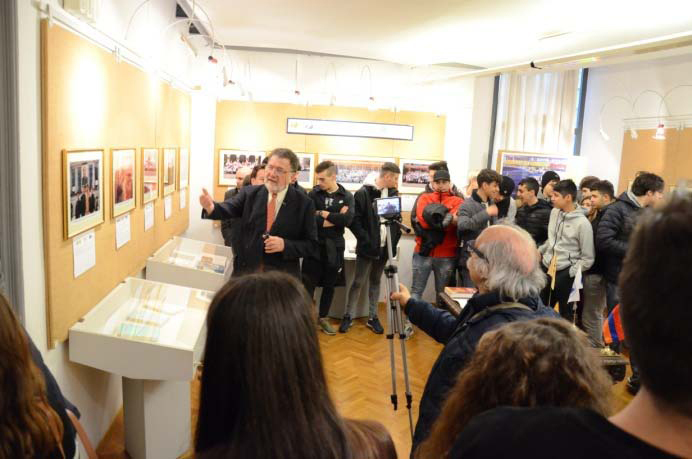 Prof. Ruffini commenting on pictures of the Exhibition to the students. Fig. 4. Prof. Ruffini commenting on pictures of the Exhibition to the students. In addition to the material relevant to the topics of the two exhibitions, important historical documents by ICRA and ICRANet, several videos of plenary talks at the MG14 – Marcel Grossmann Meeting (held in Rome in 2015), and photographic evidence of important events held in different seats of ICRANet worldwide, were presented to the public. In parallel with the exhibitions, ICRANet organized three seminars on December 12, 2017, January 8 and 12, 2018, attended by more than 50 students from "Liceo scientific Galileo Galilei" of Pescara, "I.I.S. Federico Caffé" of Rome, and "I.I.S. Guglielmo Marconi" of Civitavecchia (Rome). During these events, some new important scientific results were presented by prominent researchers and scientists to both the students and the public. Key speakers took the floor in these three days seminar; among them, the Crafoord Prize recipient Prof. Roy Patrick Kerr (Yevgeny Mikhajlovic Lifshitz - ICRANet Chair), Prof. Remo Ruffini (Director of ICRANet), Prof. Roberto Battiston (President of the Italian Space Agency), Prof. Paolo de Bernardis (Sapienza University of Rome), Prof. Paolo Giommi (Italian Space Agency), Prof. Fulvio Ricci (Sapienza University of Rome), Prof. Massimo Della Valle (former Director of the Astronomical Observatory of Capodimonte in Naples), Prof. Marco Tavani (National Institute for Astrophysics), Prof. Carlo Luciano Bianco (Sapienza University of Rome), Prof. Costantino Sigismondi ("I.I.S. Federico Caffé" of Rome, "I.I.S. 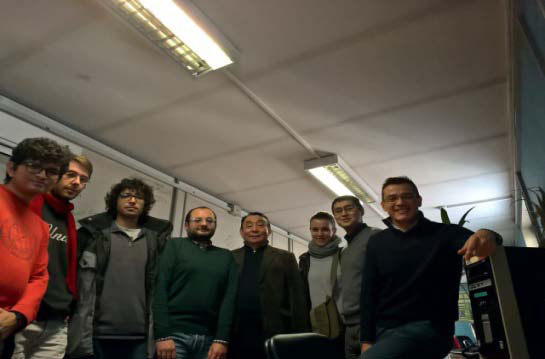 Guglielmo Marconi" of Civitavecchia- Rome, Adjunct Professor of ICRANet), Prof. Jorge Armando Rueda Hernández (ICRANet Faculty) and some IRAP PhD students from Pescara. Fig. 5. 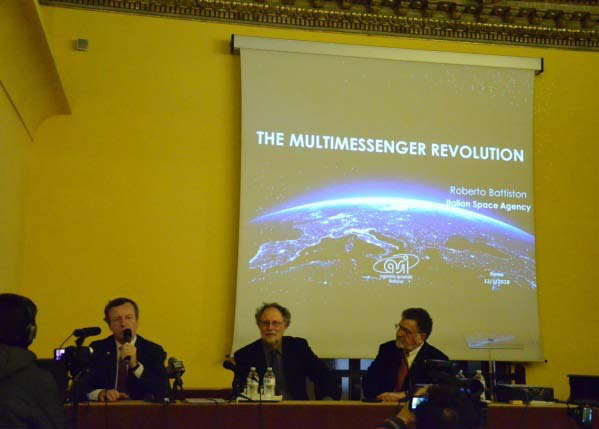 From right to left: Prof. Remo Ruffini (Dicrector of ICRANet) with Prof. Paolo de Bernardis Sapienza University of Rome) and Prof. Roberto Battiston (President of the Italian Space Agency) during the joint seminar held on 12th January 2018 in Besso Foundation, Rome. Fig. 6. Organizers of the Exhibition and speakers at the Besso Foundation. For video of presentations and a virtual tour of the exhibitions with the explanations of Prof. Remo Ruffini (in Italian), please see: https://www.youtube.com/playlist?list=PLr5RLbSWSons08aRIX8vY_5kMdTgNyO32. On January 18-23 2018, Prof. Remo Ruffini, Director of ICRANet, visited Brazil and formulated the new proposal for the Brazilian Science Data Center (BSDC), which has been launched with participation of ICRANet, ITA, INPE, CBPF. The collaboration agreement with ITA has been renewed. A high point of the visit has been the meeting at São Jose dos Campos with the Rector of ITA, Prof. Dr. Anderson Ribeiro Correia, and with the Diretor of INPE, Prof. Dr. Ricardo Magnus Osório Galvão. Then Prof. Ruffini moved to Brasilia, where he met representatives from the Brazilian Ministry of Science, Technology, Innovation and Communication (MCTIC), and from the Brazilian Ministry of Foreign Affairs (MRE). In the capital, Professor Ruffini also had a fruitful meeting with H.E. Antonio Bernardini, Ambassador of Italy to Brazil. The last day, Professor Ruffini moved to Rio De Janeiro, to meet the Director of CBPF, Prof. Ronald Cintra Shellard and Ulisses Barres de Almeida, Professor at CBPF as well as ICRANet Faculty Staff member. 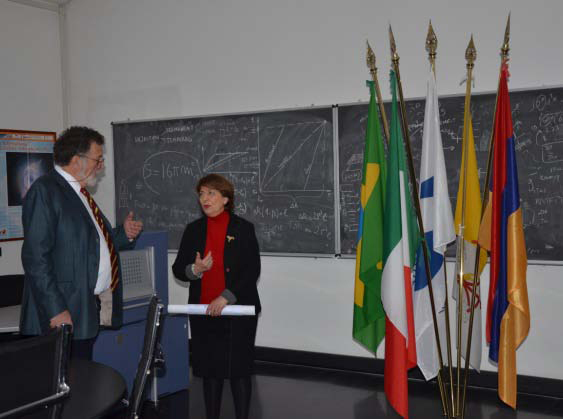 The visit of Professor Ruffini to Brazil was a good occasion to have fruitful discussions and exchanges with relevant personalities in the field of astrophysics, and represented also the possibility to present them the new scientific results obtained by ICRANet scientists in the last months. Fig. 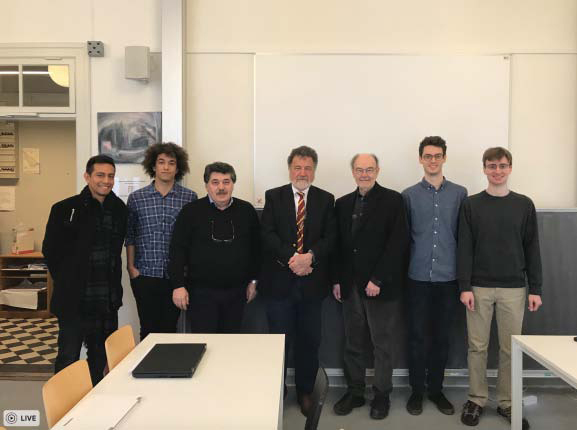 7 and 8: Prof. Remo Ruffini during his visit at the Niels Bohr Institute in Copenhagen, Denmark on 23 February 2018, together with Professor Andrew D. Jackson and Professor Pawel Naselsky, the IRAP PhD student Jose Fernando Rodriguez Ruiz and some researchers from the Danish Institute. Prof. Remo Ruffini, Director of ICRANet, together with the IRAP PhD student Jose Fernando Rodriguez Ruiz, visited the Niels Bohr Institute in Copenhagen, Denmark on 23 February 2018. 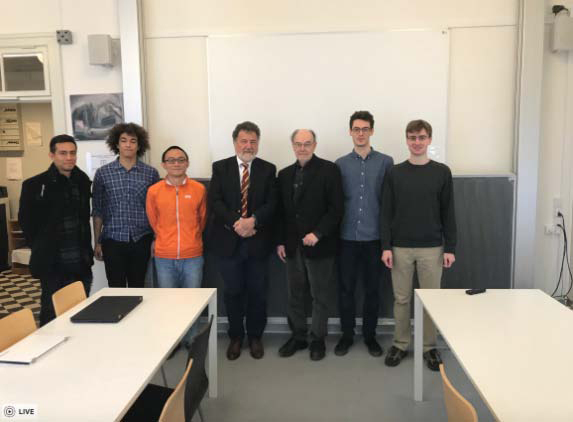 This visit was the opportunity for them to discuss with Professor Andrew D. Jackson and Professor Pawel Naselsky, both from The Niels Bohr Institute & Discovery Center in Copenhagen, about the latest results obtained in the ICRANet on gravitational waves. These results are presented in a series of publications, including the paper recently published in JCAP, see http://adsabs.harvard.edu/abs/2018JCAP...02..030R. On the 5 February 2018, Prof. Remo Ruffini, Director of ICRANet, gave an important conference at Cosmos Club in Washington (U.S.A.) on "The Moment of formation of a Black Hole in Gamma-Ray Burst". He was very happy and honored to had this opportunity for the second time, since he already delivered the Joseph Henry Lecture of the Philosophical Society of Washington at the Cosmos Club, on 12 May 1972 on "Neutron stars and black holes in our galaxy". During the conference, he also presented the recent ICRANet research topics and the ongoing scientific activities. 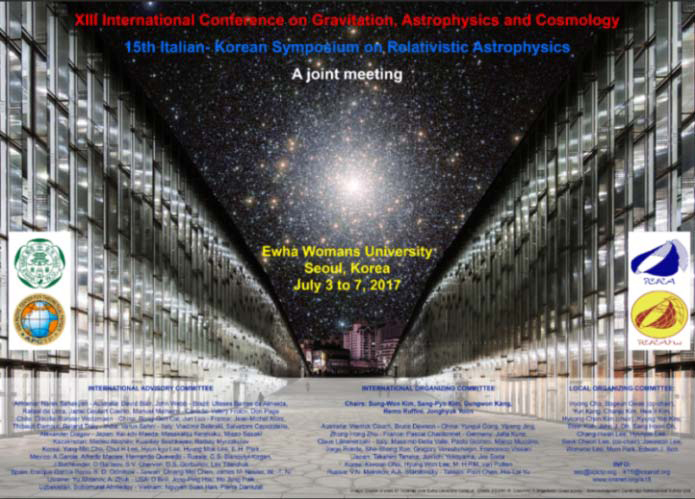 It is our pleasure to announce the publication on the 29 January 2018 of the Proceedings of the “Joint International Conference of ICGAC-XIII and the 15th Italian-Korean Symposium (IK-15) on Gravitation, Astrophysics and Cosmology” held in Seoul, Korea, on July 3-7, 2017. The proceedings have been edited by B. Gwak, G. Kang, C. Kim, H.-C. Kim, C.-H. Lee, J. Lee, S. Lee and W. Lee and are available online for free and downloadable at the following link: https://www.epj-conferences.org/articles/epjconf/abs/2018/03/contents/contents.html The collection is organized in nine main sections and subjects, namely the Plenary Talks, Classical Gravity, Quantum Gravity, Astrophysics, Gravitational Waves, Inflation and Dark Matter, Gravity in String Theory, Cosmology and Black Holes. The Italian-Korean symposium started in 1987, and then continued every two years alternatively in Korea and Italy with the support of Korea Science and Engineering Foundation (KOSEF), Consiglio Nazionale delle Ricerche (CNR), International Center for Relativistic Astrophysics Network (ICRANet) and hosting institutes. Main purpose of this symposium is to accelerate the exchange between scientists of Italy and Korea, especially young researchers. 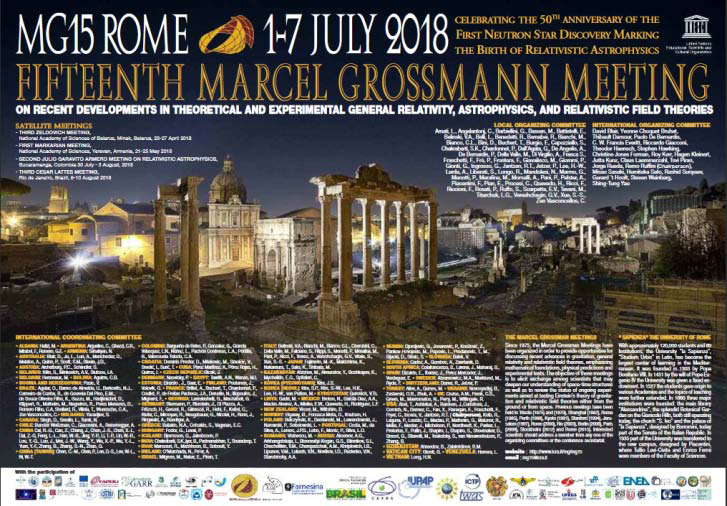 It gives us great pleasure to announce the opening of the on-line registration for the 15th Marcel Grossmann Meeting (see: http://www.icra.it/mg/mg15/registration.htm) to be held from 1 to 7 July 2018 at "La Sapienza" University in Rome. The early registration fee is 400 EUR through May 25, after which the fee will be 450 EUR. The student fee is 150 EUR through May 25, after which the fee will be 200 EUR (with certification of "Student Status"). On line fee payments will be accepted until June 25th, 2018. After this deadline, registration fees can only be paid on site by credit card. Abstracts for parallel session presentations must be submitted by April 30, 2018, but preferably at the time of registration. 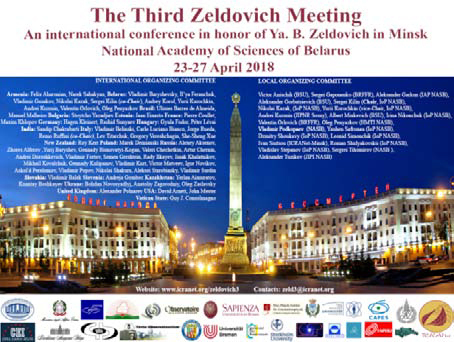 The online registration for the 3rd Zeldovich meeting to be held in the National Academy of Sciences of Belarus in Minsk, Belarus on April 23-27, 2018 has been started. Exceptionally wide research interests of Ya. B. Zeldovich ranging from chemical physics, elementary particle and nuclear physics to astrophysics and cosmology provide the topics to be covered at the conference: Early cosmology, large scale structure, cosmic microwave background; Neutron stars, black holes, gamma-ray bursts, supernovae, hypernovae; ultra high energy particles; gravitational waves. Fig.9. 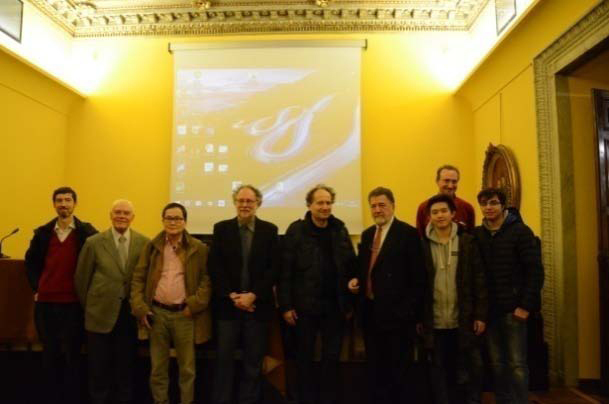 The Crafoord Prize recipient prof. Roy Patrick Kerr, Prof. Remo Ruffini (Director of ICRANet), Prof. Massimo Della Valle, Prof. Marco Tavani, Prof. Carlo Luciano Bianco with some students during the joint seminar held on 8th January 2018 in Besso Foundation, Rome. From 2 to 11 January 2018, Professor Roy Kerr, (Yevgeny Mikhajlovic Lifshitz - ICRANet Chair, 2016 Crafoord Prize in Astronomy), came to visit ICRANet center in Pescara. During his permanence, he had the opportunity to visit the two exhibitions (on “Einstein, Fermi and Heisenberg and the birth of Relativistic Astrophysics” and on “ICRANet and China”) organized in Rome by ICRANet, in collaboration with the Besso Foundation, ICRA and ECIPA from 12 December to 12 January 2018, and to give an talk in the framework of this event on Rotating Black Holes. Professor Roy Kerr also congratulated Professor Ruffini and other ICRANet researchers, for the publication on 1st January 2018 of their article “Early X-Ray Flares in GRBs” on the first page of The Astrophysical Journal (ApJ), the most important journal in the world in the field of astrophysics. Fig. 10: Academician Tolegen Kozhamkulov during his visit at "La Sapienza" University in Rome. 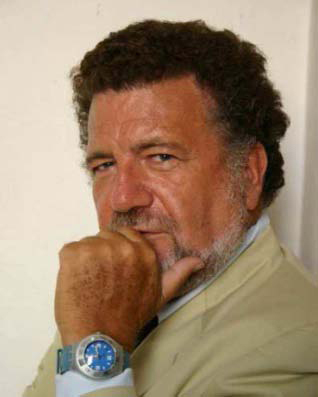 Fig.11: Academician Tolegen Kozhamkulov with the research group of "La Sapienza" University. 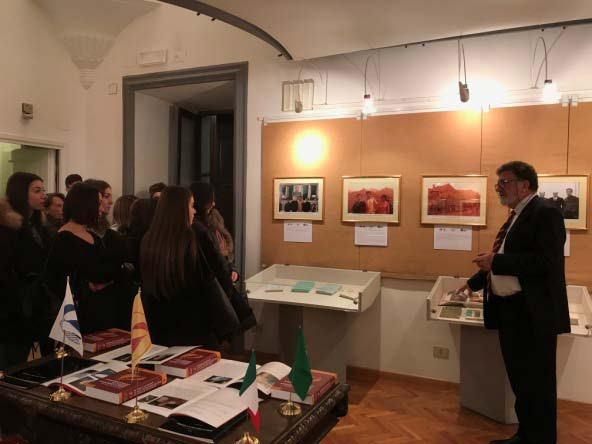 From the 21 to the 25 of January, Academician Tolegen Abdisagiyevich Kozhamkulov, President of Kazakh Physical Society visited ICRA's offices in University "La Sapienza" in Rome. In his visit, he was accompanied by the Kazakh IRAP PhD Erasmus Mundus student Yerlan Aimuratov. 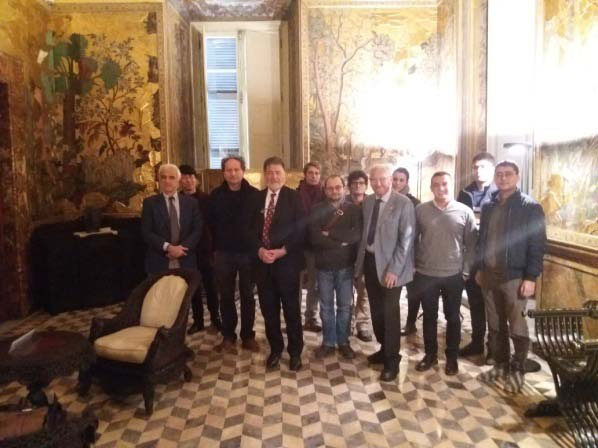 Academician Kozhamkulov appreciated the opportunity he had to exchange fruitful scientific discussions with the research group of "La Sapienza" University. 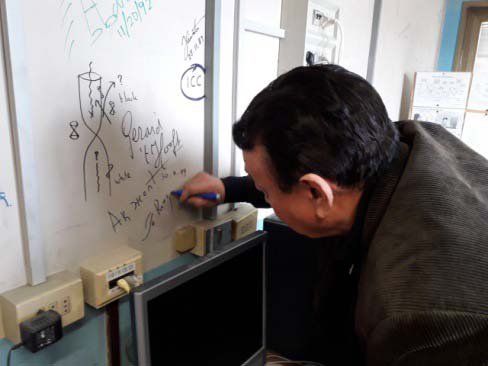 Fig.12: Professor Clovis Achy Soares Maia, signing the ICRANet center's wall in Pescara. From the 7 to the 24 of February 2018, Professor Clovis Achy Soares Maia from the University of Brasilia, visited ICRANet seat in Pescara. During his visit, he had the opportunity to discuss his scientific research and to have fruitful exchange of ideas with other researchers from ICRANet and from different parts of the world. 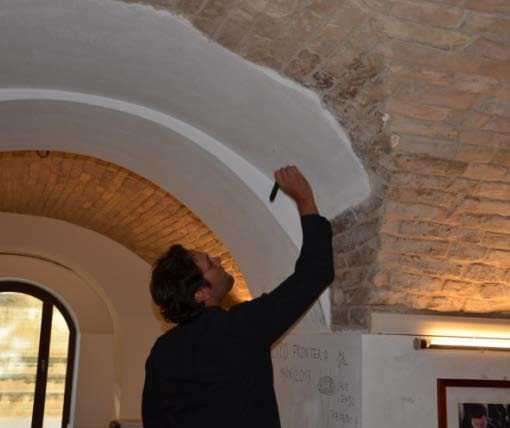 Professor Clovis Maia left his signature on the ICRANet Pescara wall, as previously done by those who visited the center and actively contributed to the key scientific topics of interests of ICRANet. Fig. 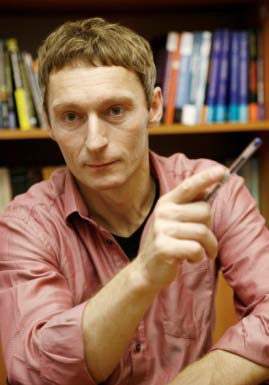 13: Professor Krzysztof Belczynski. 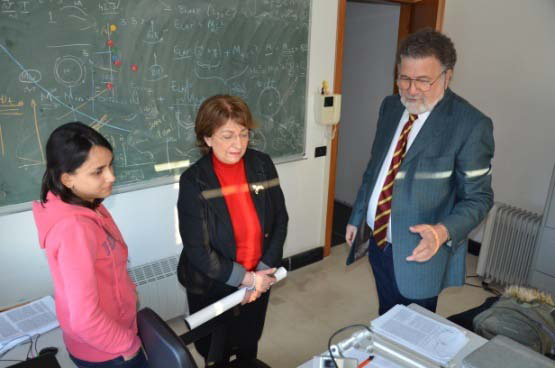 From the 21 to the 23 of February, Professor Krzysztof Belczynski from the Nicolaus Copernicus Astronomical Center in Warsaw – Poland, payed an official visit to Italy. On this occasion, thanks to the cooperation with ICRA, he organized an important seminar on Thursday February 22, 2018 at "La Sapienza" University of Rome on the "Origin of merging Neutron Star - Neutron Star binaries". Fig. 14-15: H.E. Gerardina Basilicata, Prefect of Pescara, visiting ICRANet center on 15 February 2018. On 15 February 2018, the New Prefect of Pescara, H.E. Gerardina Basilicata, visited ICRANet seat in Pescara and met Professor Remo Ruffini, Director of ICRANet. 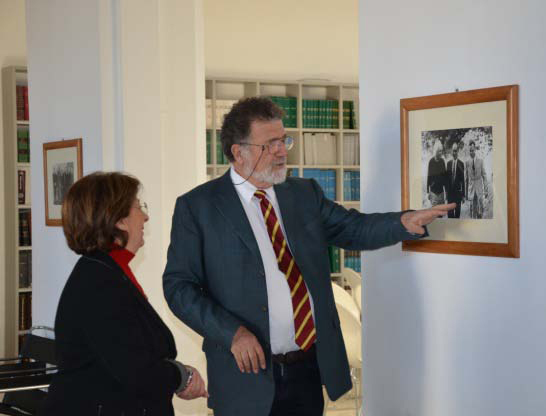 Professor Ruffini accompanied the Prefect in a comprehensive tour of the center, showing her ICRANet library and explaining her all the important achievements and current researches carried on by the center. Ms Basilicata also met ICRANet staff, Faculty and students, who told her about their important work and experience here in Pescara. Fig. 16-17: The Prefect of Pescara talking with ICRANet IRAP PhD students during her visit. L. Becerra, M. M. Guzzo, F. Rossi-Torres, J. A. Rueda, R. Ruffini and J. D. Uribe, "Neutrino Oscillations within the Induced Gravitational Collapse Paradigm of Long Gamma-Ray Bursts", The Astrophysical Journal, published on January 15, 2018. The induced gravitational collapse paradigm of long gamma-ray bursts associated with supernovae (SNe) predicts a copious neutrino–antineutrino emission owing to the hypercritical accretion process of SN ejecta onto a neutron star (NS) binary companion. The neutrino emission can reach luminosities of up to 1057 MeV s‑1, mean neutrino energies of 20 MeV, and neutrino densities of 1031 cm‑3. Along their path from the vicinity of the NS surface outward, such neutrinos experience flavor transformations dictated by the neutrino-to-electron-density ratio. We determine the neutrino and electron on the accretion zone and use them to compute the neutrino flavor evolution. For normal and inverted neutrino mass hierarchies and within the two-flavor formalism νeνx), we estimate the final electronic and nonelectronic neutrino content after two oscillation processes: (1) neutrino collective effects due to neutrino self-interactions where the neutrino density dominates, and (2) the Mikheyev–Smirnov–Wolfenstein effect, where the electron density dominates. We find that the final neutrino content is composed by ∼55% (∼62%) of electronic neutrinos, for the normal (inverted) neutrino mass hierarchy. The results of this work are the first step toward the characterization of a novel source of astrophysical MeV neutrinos in addition to core-collapse SNe and, as such, deserve further attention. R. Ruffini, Y. Wang, , Aimuratov, Y., Barres de Almeida, U., Becerra, L., Bianco, C. L., Chen, Y. C., Karlica, M., Kovacevic, M., Li, L., Melon Fuksman, J. D., Moradi, R., Muccino, M., Penacchioni, A. V., Pisani, G. B., Primorac, D., Rueda, J. A., Shakeri, S., Vereshchagin, G. V., Xue, S.-S., “Early X-Ray Flares in GRBs”, The Astrophysical Journal, published on January 2018. We analyze the early X-ray flares in the GRB "flare–plateau–afterglow" (FPA) phase observed by Swift-XRT. The FPA occurs only in one of the seven GRB subclasses: the binary-driven hypernovae (BdHNe). This subclass consists of long GRBs with a carbon–oxygen core and a neutron star (NS) binary companion as progenitors. The hypercritical accretion of the supernova (SN) ejecta onto the NS can lead to the gravitational collapse of the NS into a black hole. Consequently, one can observe a GRB emission with isotropic energy Eiso≳1052 erg, as well as the associated GeV emission and the FPA phase. Previous work had shown that gamma-ray spikes in the prompt emission occur at ∼ 1015--1017 cm with Lorentz Gamma factors Γ∼102-103. Using a novel data analysis, we show that the time of occurrence, duration, luminosity, and total energy of the X-ray flares correlate with Eiso. A crucial feature is the observation of thermal emission in the X-ray flares that we show occurs at radii ∼1012 cm with Γ ≲ 4. These model-independent observations cannot be explained by the "fireball" model, which postulates synchrotron and inverse-Compton radiation from a single ultrarelativistic jetted emission extending from the prompt to the late afterglow and GeV emission phases. We show that in BdHNe a collision between the GRB and the SN ejecta occurs at ≃1010 cm, reaching transparency at ∼1012 cm with Γ ≲ 4. The agreement between the thermal emission observations and these theoretically derived values validates our model and opens the possibility of testing each BdHN episode with the corresponding Lorentz Gamma factor. Reference: The Astrophysical Journal, Volume 852, Issue 1, article id. 53 (2018). Ehsan Bavarsad, Sang Pyo Kim, Clément Stahl, She-Sheng Xue, "Effect of a magnetic field on Schwinger mechanism in de Sitter spacetime", Physical Review, published on 25 January 2018. We investigate the effect of a uniform magnetic field background on scalar QED pair production in a four-dimensional de Sitter spacetime (dS4). We obtain a pair production rate which agrees with the known Schwinger result in the limit of Minkowski spacetime and with Hawking radiation in dS spacetime in the zero electric field limit. Our results describe how the cosmic magnetic field affects the pair production rate in cosmological setups. In addition, using the zeta function regularization scheme we calculate the induced current and examine the effect of a magnetic field on the vacuum expectation value of the current operator. We find that, in the case of a strong electromagnetic background the current responds as E · B, while in the infrared regime, it responds as B/E, which leads to a phenomenon of infrared hyper conductivity. These results for the induced current have important applications for the cosmic magnetic field evolution. G. V. Vereshchagin, "Cosmic horizon for GeV sources and photon-photon scattering", Astrophysics and Space Science, published on 11 January 2018. Photon-photon scattering of gamma-rays on the cosmic microwave background has been studied using the low energy approximation of the total cross section by Zdziarski and Svensson (Astrophys. J. 344:551, 1989), Svensson and Zdziarski (Astrophys. J. 349:415, 1990). Here, the cosmic horizon due to photon-photon scattering is accurately determined using the exact cross section and we find that photon-photon scattering dominates over the pair production at energies smaller than 1.68 GeV and at redshifts larger than 180. Reference: Vereshchagin, G.V. Astrophys Space Sci. (2018) 363: 29. J. F. Rodriguez, J. A. Rueda, R. Ruffini, "Comparison and contrast of test-particle and numerical-relativity waveform templates", published on 16 February 2018. We compare and contrast the emission of gravitational waves and waveforms for the recently established "helicoidal-drifting-sequence" of a test particle around a Kerr black hole with the publicly available waveform templates of numerical-relativity. The merger of two black holes of comparable mass are considered. We outline a final smooth merging of the test particle into the final Kerr black hole. We find a surprising and unexpected agreement between the two treatments if we adopt, for the mass of the particle and the Kerr black hole a Newtonian-center-of-mass description, and for the Kerr black hole spin an effective value whose nature remains to be clarified. Reference: J. F. Rodriguez, J. A. Rueda, R. Ruffini, Journal of Cosmology and Astroparticle Physics, Issue 02, article id. 030 (2018). Donato Bini, Carmen Chicone, Bahram Mashhoon, “Twisted Gravitational Waves” accepted for publication in Physical Review D.
In general relativity (GR), linearized gravitational waves propagating in empty Minkowski spacetime along a fixed spatial direction have the property that the wave front is the Euclidean plane. Beyond the linear regime, exact plane waves in GR have been studied theoretically for a long time and many exact vacuum solutions of the gravitational field equations are known that represent plane gravitational waves. These have parallel rays and uniform wave fronts. It turns out, however, that GR also admits exact solutions representing gravitational waves propagating along a fixed direction that are nonplanar. The wave front is then nonuniform and the bundle of rays is twisted. We find a class of solutions representing nonplanar unidirectional gravitational waves and study some of the properties of these twisted waves. Reference: Donato Bini, Carmen Chicone, Bahram Mashhoon, arXiv:1801.06003.